In 1890, the $2.50 per term (typically two to three months) tuition was abolished as free public schools were established. The four St. George school districts were combined into one and the school term was lengthened. 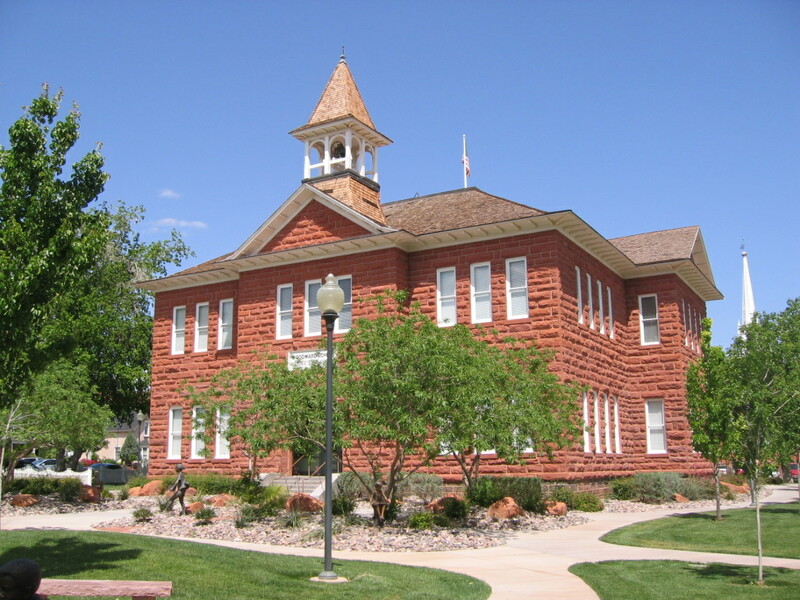 In June of 1915, the county's nineteen school districts were consolidated into one. Josephine J. Miles, "History of Education in St. George"
Eleanor C. W. Jarvis, "Data on school teachers and schools attended by Eleanor C. W. Jarvis"
Andrew Karl Larson, "I Was Called to Dixie"
Douglas D Alder and Karl F Brooks, "A History of Washington County From Isolation to Destination"
Washington County D.U.P., " Under Dixie Sun - A History of Washington County". Robert Hafen Moss, "An Historical Study of the Factors Influencing the Organization of Education in Washington County, 1852-1915"
"Your Washington County Schools Today", St. George Spectrum Supplement, May 29, 1995. "Building a Community: Teaching with Historic Buildings in Washington County"